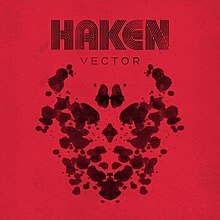 This year has been very successful for London-based prog metal trailblazers Haken, with the release of their fantastic introduction to the world of live albums, L-IVE, and now their highly anticipated fifth album ‘Vector’ has finally dropped, with a surprisingly straight feel, partly due to fewer progressive elements, and some of the best riff-driven songs in the whole subgenre. 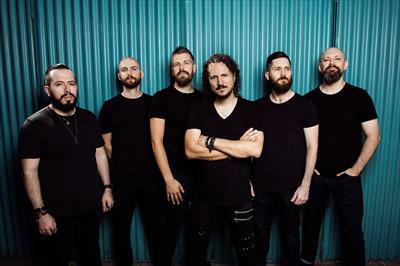 This is not immediately noticeable, as the album starts in typical haken fashion with ‘Clear’ being a short opening track introducing the album. Ross Jenning’s remarkable vocal talent is showcased right from the start, and brings ethereal beauty very close to ominous tones in a way that perfectly encompasses the themes for each song, with range and purity to almost rival Daniel Tompkins*, and pairing perfectly with the dark, brutal tones of Richard Henshall and Charlie Griffiths’ fantastic guitarwork. The singles ‘Puzzle Box’, the ‘Good Doctor’, and ‘A Cell DIvides’ showcase the band’s incredible quality of standalone songwriting far clearer than previous single releases, and tracks ‘Host’ and ‘Veil’ brilliantly show the incredible diversity they exhibit, with certain parts showing as much emotional power as true heartfelt concept albums from the likes of Steven Wilson or Devin Townsend. Because this is not necessarily a concept album, the short runtime is less disappointing than it would otherwise be, and means that this album makes for truly fantastic listening at any time.